Fischerspooner performing during BRIC Celebrate Brooklyn! Festival at Prospect Park Bandshell on Saturday, June 23, 2018. A dancer during Fischerspooner's performance during BRIC Celebrate Brooklyn! Festival at Prospect Park Bandshell on Saturday, June 23, 2018. 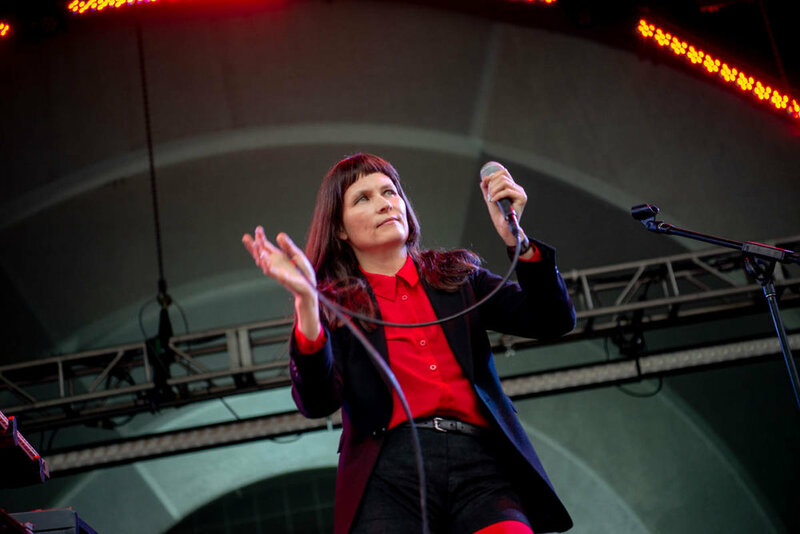 Liz Wendelbo of Xeno & Oaklander performing during BRIC Celebrate Brooklyn! Festival at Prospect Park Bandshell on Saturday, June 23, 2018. 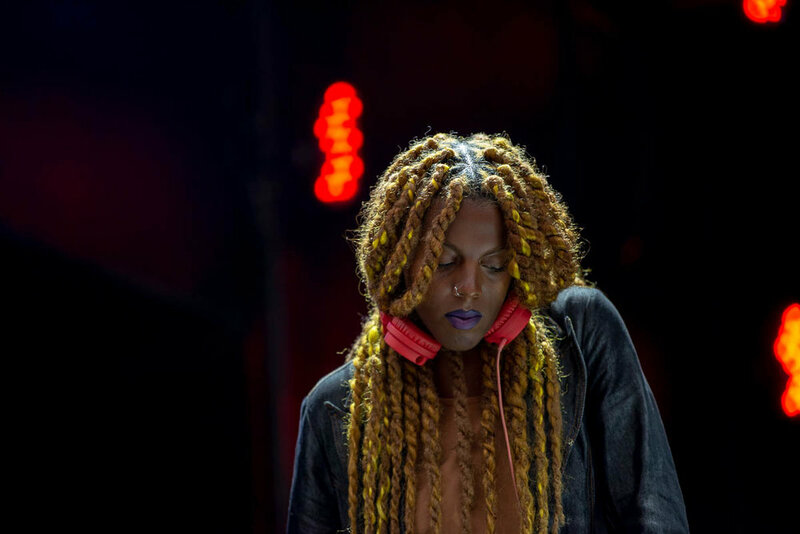 DJ Juliana Huxtable performing during BRIC Celebrate Brooklyn! Festival at Prospect Park Bandshell on Saturday, June 23, 2018. On Saturday, June 23, 2018, BRIC Celebrate Brooklyn! Festival held a free concert at Prospect Park Bandshell in Brooklyn, NY featuring sets from Fischerspooner, Xeno & Oaklander, and DJ Juliana Huxtable. The concert was held during Pride weekend, the night before the annual Pride March which first began in NYC in 1970. Fischerspooner's set included songs both old and new (their latest album, SIR, was released back in February), dancers, a guest appearance by Johnny Magee, and a message of political resistance and, naturally, pride. I shot the special show for Music Existence and the gallery is now available on their site here. The last time I shot Fischerspooner was with a point and shoot camera in 2005 and those photos are available here.